In the 49th state there once was a dream that personal computers would become a force that would change the world. Jennifer and I were not the only dreamers. It also was in the minds of high school dropouts in the shadows of Stanford University and in the privileged suburbs of Seattle and many other places. It started a few years before we plunged into the tsunami in 1980. 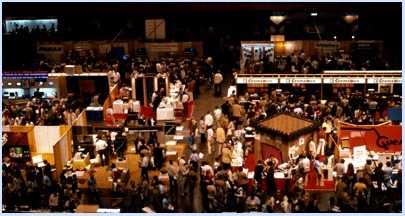 By the time we went to the West Coast Computer Faire in San Francisco in 1981 it was already the 6th such event. 6th W. Coast Computer Faire,1981: Osborne 1 first shown here. With my partner, Jennifer Stone, an Apple II+ was purchased from one of the two local stores that sold personal computers in Anchorage, Alaska in 1980. It had a whopping 48k of memory and a 8-bit 6502 processor running at a blistering 1MHz. I am editing this page on a laptop that runs a 64-bit processor at 2.8 GHz and has 6GB of memory—2,800 times as fast with 125,000 times more RAM memory. For storage we first used an ordinary tape cassette recorder, then splurged further for a floppy drive. The floppy held 114KB and we discussed whether it made sense to buy a whole box of disks and settled on one disk for me and one for Jennifer. How little we knew! My new laptop has no floppy, but it does have a 460 GB hard drive, a 4 million times improvement. We were working for big oil on the North Slope in Alaska at the time and felt like we could afford this expensive puzzle in its stylistic, for its time, plastic box. And what a puzzle it was. We treated it as a portable, packing it up and taking it on our biweekly flights to the oil fields. Before long we were having Robot War games on the slope among ourselves and our friend Drew Holt. The game required writing code to control your robot. Jennifer and Drew were the better programmers. It was at this point that I knew I had found a woman of substance to share my life with. Her robot kept knocking the lug nuts off mine! Beyond the fun, the possibilities of computer power were giving us ideas of giving up the 625 mile commute to Prudhoe Bay (often referred to as "the North Slope" or just "the slope"). 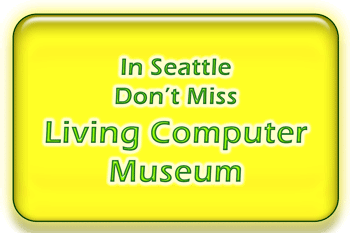 In 1980 we sold a computer, at no real profit, to friends in Valdez who wanted to see if it would help them run their greenhouse business. Before long we had employees, an office on 4th Avenue, the main drag in downtown Anchorage. Picking a name was a bit messy, we settled on Abacus Computers, but someone else in town beat us to registration. So with legal help we negotiated the compromise name of Abacus North. At first Jennifer ran the shop while I continued with my slope job, but it quickly became apparent that both of us were needed full time, so I left the slope too. We were beyond an exponential growth rate in those early years. What a lot of fun those early years were! Our office on 4th Avenue overlooked the starting point for the Iditarod and Anchorage Fur Rendezvous sled dog races—a pleasant distraction in late winter. We met people of all sorts who were interested in computers and had a grand time introducing them to the technology. Our landlords on 4th Avenue went on to become Governor of the state (Tony Knowles) and a director of Alaska's Permanent Fund Dividend Corporation (Dave Rose). It was during this time that we became acquainted with a computer consulting partnership that included Rodger Ellis, who would become a long time friend, and his partner, Red Boucher, who had been the 4th Lieutenant Governor of Alaska.